Consider the extra interest added by a Faceout Productstop Cube For Winter Apparel in this tower display. 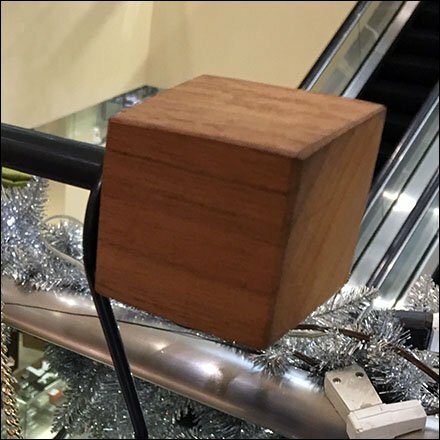 See that from a distance the Cubes are not a distraction, but in closeup provide a visual anchor and the desired productstop action. Consider this Faceout Productstop Cube For Winter Apparel in the gallery of images. Seen at Neiman Marcus, The King of Prussia Mall, Pennsylvania.